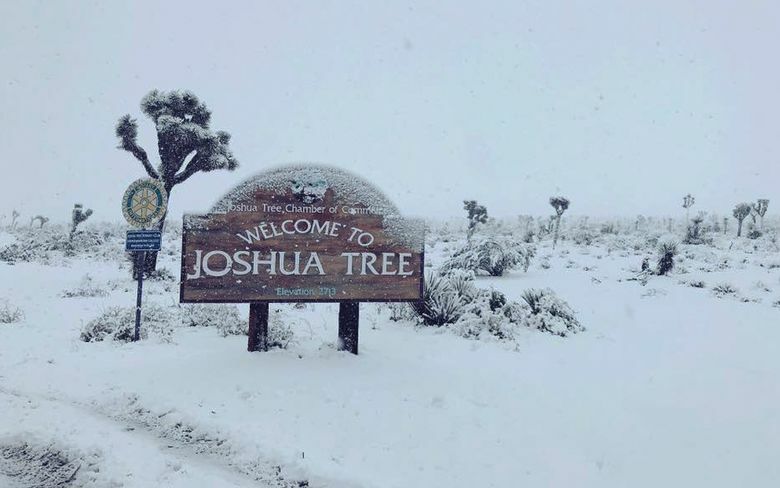 “No need to panic Los Angeles — the LAPD is on snow watch,” the city’s police department tweeted, along with video of a light flurry. 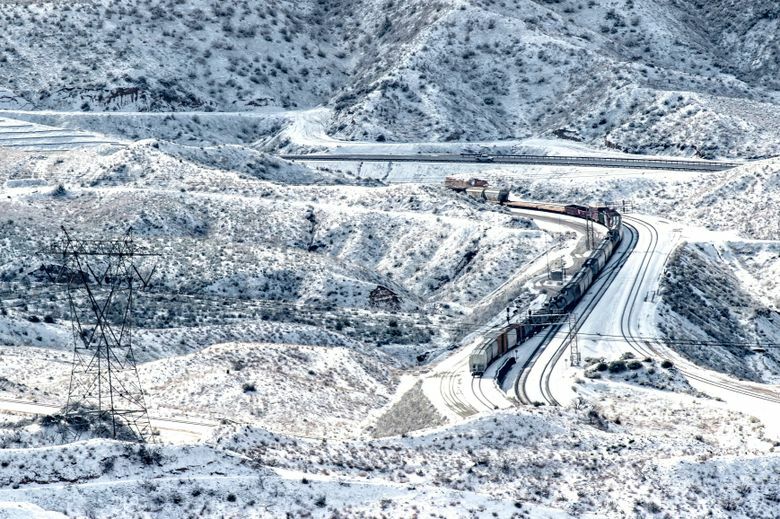 Snow fell in the Santa Monica Mountains above the Malibu coast. 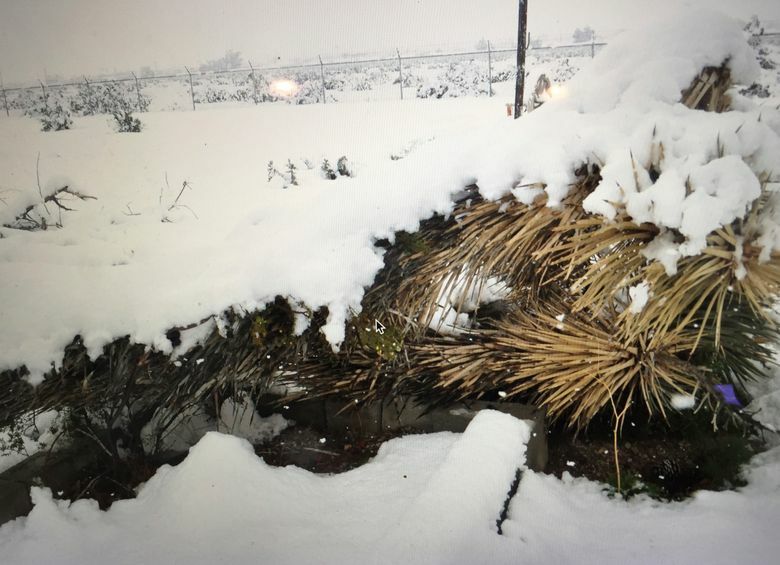 In the nearby celebrity haven of Calabasas, actor Jerry O’Connell recorded video of himself as snow fell on his car and quickly melted. 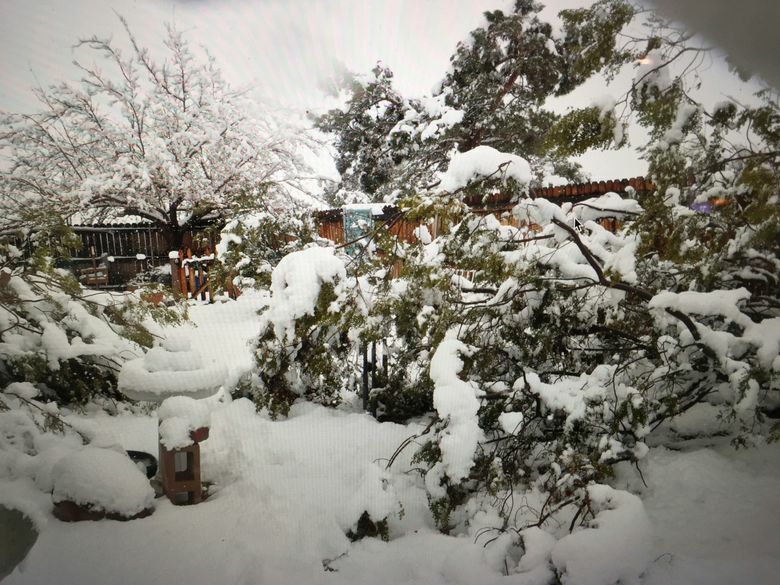 “It is snowing in Calabasas — crazy,” he said. 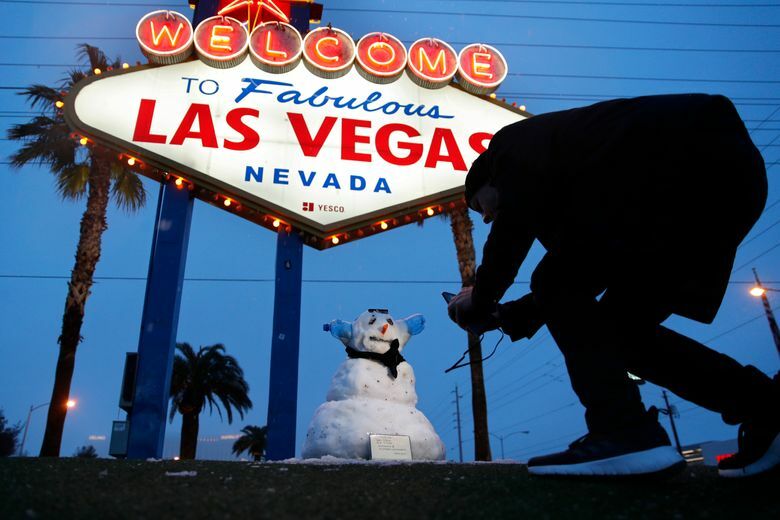 The rare snowfall at low levels in Nevada prompted revelers to erect a snowman near the famous “Welcome to Fabulous Las Vegas” sign. 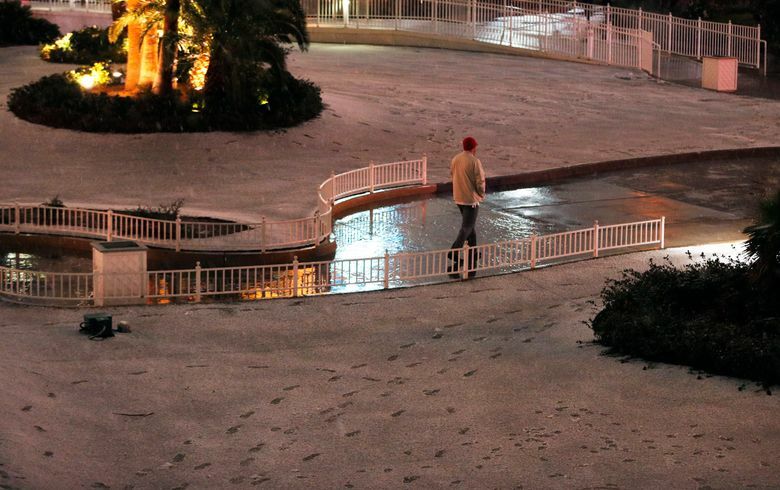 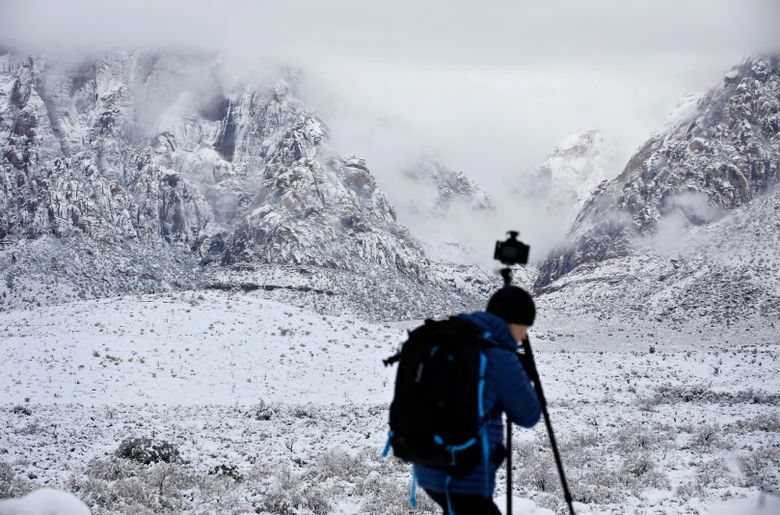 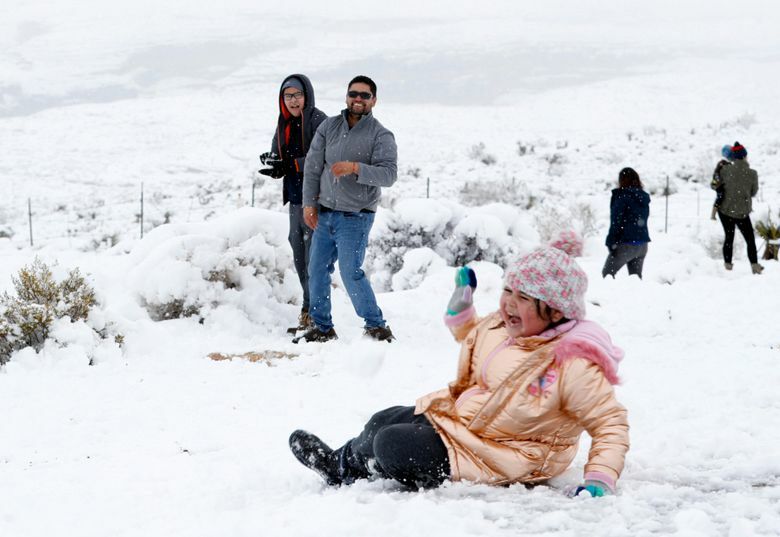 Some suburban foothill areas near Las Vegas were white after getting several inches of snow. 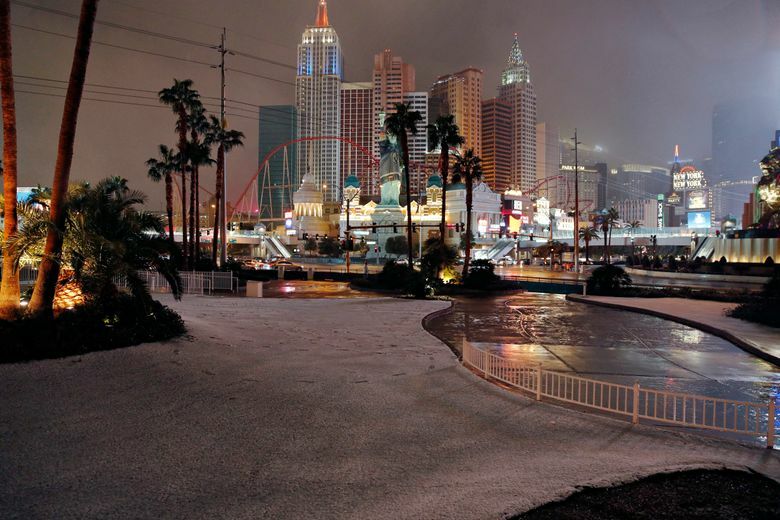 On the casino-lined Las Vegas Strip, the snow was fleeting, melting faster than a bad gambler’s luck. 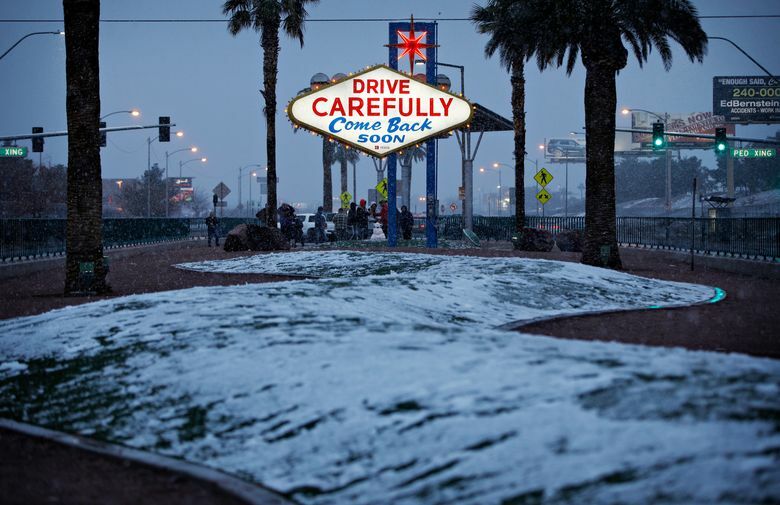 “We expected cold, but not snow,” tourist Lila de Guerrero said after taking a photo at the Las Vegas sign wearing a puffer coat and hat. 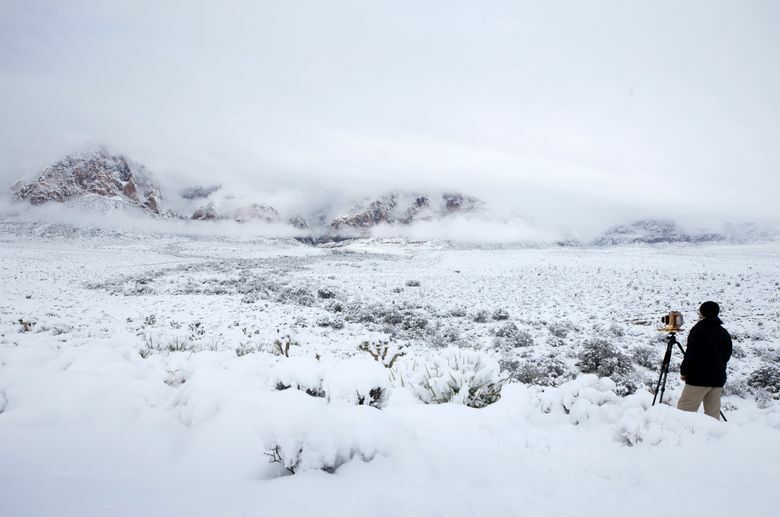 German tourist Daniela Huber said she was surprised that her vacation to the desert wasn’t much of an escape from winter. 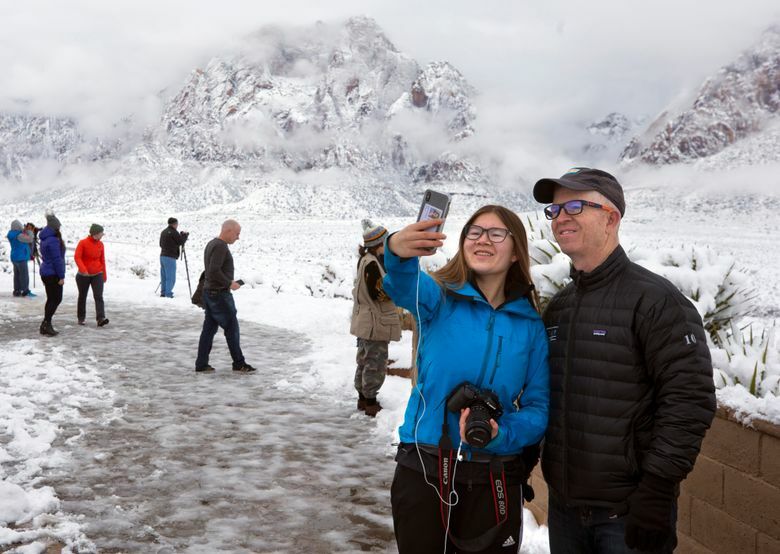 “We thought it was strange because we came from Germany, where it snows all the time,” she said. 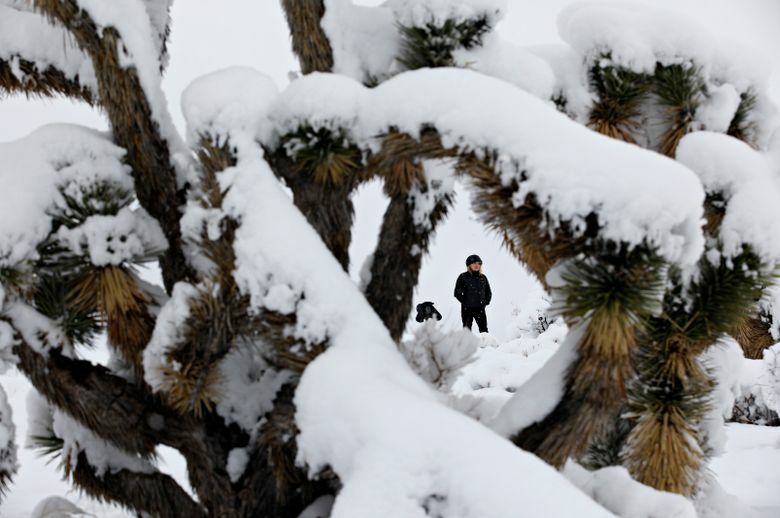 “It’s beautiful,” said Kate Porter, a resident of the desert community of Joshua Tree. 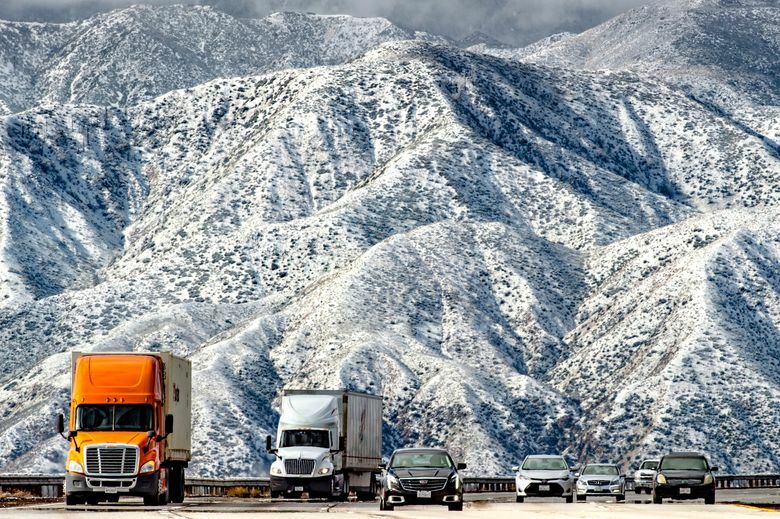 Rare “thundersnow” was observed at Big Bear in the San Bernardino range, where road closures were being reported. 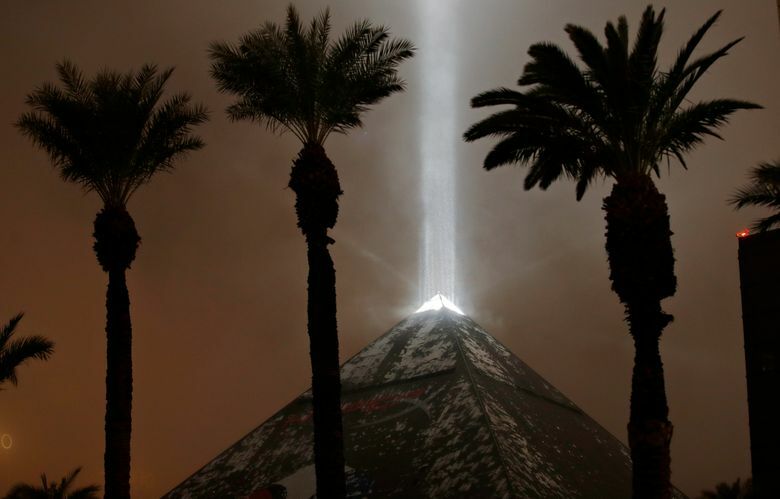 AP writers Regina Garcia Cano in Las Vegas, Terry Tang and Paul Davenport in Phoenix, and Christopher Weber and John Antczak in Los Angeles contributed to this report.